Sage ERP Accpac 6.0 is expected to eventually be one of Sage’s SaaS capable offerings (target for full SaaS is late 2012). The product is sold primarily in the USA and Canada and has received a renewed vote of confidence by being named one of the global products that Sage promotes worldwide. To sign up for the web event you can visit the Sage ERP Accpac 6.0 virtual launch event registration site. Does Sage ERP Accpac 6.0A become a 100% full web based solution? No – this is the first step in that journey. With this release we have the technology foundation, the new web based portal, the new dashboard, the new Inquiry tool along with the web based screens that make up Quote to Orders. All the other accounting screens are still the VB screens similar to 5.6A. When Will Sage ERP Accpac be 100% fully web based? Version 6.2 which is estimated for release at the end of calendar 2012. With this release the entire product will have a web based option, including all accounting modules and options products. However version 6.1 which is estimated to ship at the end of 2011 will have all the major modules Web based including GL, AP, AR, IC, OE and PO. As Web Screens are released will the VB screens disappear? No. You will still be able to run the VB screen from the original Accpac desktop. As Web Screens are completed they will take the place of the VB screens in the new Web Portal, but the original VB screens are still installed, supported and accessed from the original desktop. How long will the VB screens be supported? At least through 6.2A, beyond that it will depend on market demand. If everyone moves to the web quickly then that will be it. But if it takes time to move customizations and such, then you will have that time. 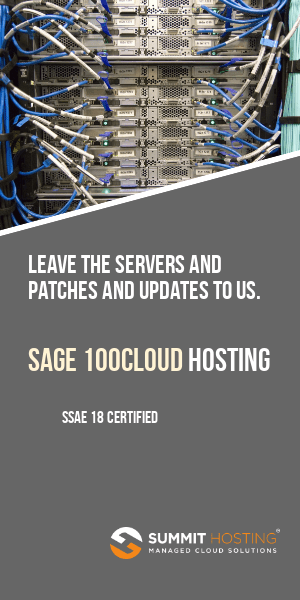 Is SageERP Accpac 6.0A SaaS? No. This is an on-premise installed product. You can install it in the cloud, but this is still essentially on on-premise install, just with a remote server. When will there be a true SaaS version of Accpac? After we have a number of accounting modules Web based then we will look to do a SaaS deployment through AccpacOnline (ie after 6.1 or early 2012). If I don’t deploy the web components, why should I upgrade to 6.0? There is the lock fiscal periods by module feature that is used by both. Plus there are many bug fixes. Why should I deploy the Web components? You will get the new portal, dashboards and inquiry tool. Plus this will prepare you for 6.1A. If you get the web components going then installing 6.1A will be very easy since you will have the infrastructure all deployed. If the product is web deployed why do I need workstation setup? Until the VB accounting screens are moved to the Web in 6.1 or 6.2, we are running the current VB screens from the Portal. The only data entry screens in the new Web technology for 6.0A are the Quote to Order screens run from inside SageCRM. Why is there an ActiveX control in the new Portal? This is required to run the VB UI screens. This will be removed once all the VB screens are moved to the Web. Can I run the Portal for remote users? Only for the new Web parts. The VB screens will not run remotely with this technology, Workstation Setup is required. This will be more realistic starting with 6.1A. Can I use browsers other than IE? The only supported Browsers are Internet Explorer 7 and 8. You can use Firefox, Safari or Chrome but you can’t run the VB screens from these Browsers (since they don’t support ActiveX controls). The CSS (Cascading Style Sheets) are optimized for IE and will have many rendering glitches with the other browsers (this will be fixed for 6.1A). Does the new Web Portal use a Lanpak? No. Logging on to the new Web Portal, seeing the dashboard, drilling down to reports from the dashboard, accessing help and using the Inquiry tool does not use a lanpak. However you will use a lanpak the first time you run an accounting screen. The idea is to promote the use of Accpac in the Enterprise outside of the accounting department. Do the Quote to Order Screens use a Lanpak? No. You just need the SageCRM User count to sign onto SageCRM, then no further Lanpaks are required. Do I require a new server for the web parts? Depends. Often people already have a good file server that is being under-utilized, you may be able to use this additionally as your web server. If you are already running SageCRM, then this server will probably be ideal as the Accpac Web server also. But if you are running local installs and Pervasive workgroup and have no server, then you will need to get one.